One of the benefits of taking up Adelaide cruises in South Australia is that they are extremely fun. These cruises tend to have a number of fun activities that you and your family can enjoy. Even better, some Adelaide cruises make stops at different towns that offer additional fun activities you’ll definitely love. It is with this that we’ve opted to share with you this post. In particular, this post looks at places that are a must visit for day cruise lovers whose cruise will make a short travel to Waikerie. Without further ado, below is a list of five places that are a must visit while in Waikerie. River cruises to Waikerie offer a perfect opportunity to visit the Moorook Game Reserve. This is a perfect place to visit if you are planning a cruise with your family or friends. Some of the activities you can do at this game reserve are camping. You can get to camp with friends, loved ones or family members along the Murray River. While there, you can get to further try out a number of fun water activities. This includes water activities like fishing and bird watching. A key plus with camping at this game reserve is the shade you receive from the trees. Yes, you can protect yourself from the sun if it’s rays are strong. Furthermore, the campsites are separated thus offering some level of privacy. If you are looking for great sightings, the Moorook Game Reserve has so many of them. Examples include the White Bellied Sea Eagles, Herons, Kookaburras and the Kangaroos. There is also an option of taking a walk along the boardwalk if you are into such activities or just want to stretch your legs. There are plenty of scallops and carps in the Murray River, so you can definitely indulge yourself. Lastly, if you are boat enthusiast, the reserve has a boat launching ramp you can make use of when sailing from Waikerie. Did you miss out on your evening meal due to Adelaide cruises departing time? Well, there is no need to worry. If your cruise is heading to Wakerie, there are several restaurants you can stop to sample and enjoy their meals. One such spot is the Vintners Bar & Grill. Over the years, this restaurant’s popularity has increased significantly. This is mainly a result of the meals they serve up. Furthermore, it offers a unique experience as both a bar in South Australia and a restaurant. One of the must-try dishes at Vintners Bar & Grill is the sealed scallops. Another meal you should definitely try out is the famous King Fish meal. If you are a lover of wine, they do serve up fantastic wines. A plus with this particular spot when it comes to wines is the different brands they serve up. Also, the prices of their wines are reasonable. So if you are at this spot, you should definitely think of visiting this spot. Fancy visiting a park during one of your Adelaide cruises? The Murray River National Park makes for a perfect choice. There are several reasons why this site is regarded as one of Berri’s top places to visit. For starters, it boasts a variety of animals in the park. If you were to visit the park, you’ll get to see a number of animals including the famous Australian kangaroos. 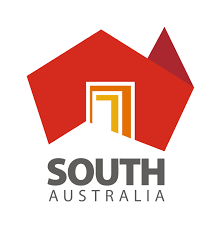 It also boasts a number of restaurants serving up authentic South Australian cuisines. If you are longing for a drink or two, Murray River National Park has several spots you can hang out at. You can go to Jazz and Blues Cafes, Wine Bars, Hotel Lounges, and Sports Bars etc. It’s good to note that some of these spots offer great food wines for you to sample for added fun. Other key standout features at the Murray River National Park include desserts and coffee joints. For this, you can go to Bagels and Donuts, Ice Cream Parlors, Juice Bars and Smoothies etc. If you are looking for a truly charming experience while at Waikerie, then you should definitely visit Maggie Beer’s Farm Shop. One of our favourite features about this farm shop is maintenance. In particular, how good the guys at this farm shop have maintained it. One of the many sightings you are likely to see include turtles and ducks. You’ll probably see them swimming in the central pond along the lake. Being a shop, Maggie Beer’s Farm Shop offers a variety of products on their displays. Some of the products you’ll get or see on display include a variety of juices, sauces, dips and marmalades. Not sure if you’ll love them? Well, with this particular shop, you have the option of actually tasting them before making a purchase. So if you don’t like any of them you won’t have to buy them. If you happen to love what you’ve purchased, there is an option of purchasing the recipe. Just ask for the relevant Maggie Beer’s Farm Shop recipe books and go on to purchase it. They also offer classes/events where you can get hands-on cooking lessons/experience. One of the places that are a must visit for wine lovers while at Wakerie is First Drop Wines, Home Of The Brave, Wine And Tapas Room. Here, they’ve managed to make wine and everything about it crazy, fun and funky. In everything they do, they work to ensure that all their guests have a unique experience. Furthermore, they work to ensure you enjoy yourself and that you have an exciting experience. Over the years, this particular spot has gained lots of recognition thanks to their title as the best winemakers in Barossa. A plus with this particular place is the different types of wines available to you for tasting. The wines they brew are done locally so you are guaranteed the very best in quality and taste. We suggest accompanying your wine with a few snacks. If you are looking to take back home a bottle or two of unique wines then remember to visit this spot. There you have it, five places that are a must visit while in Waikerie. 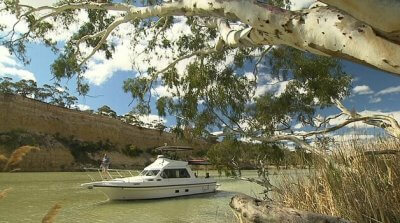 If you are in search of Adelaide cruises offering short travels to Waikerie, look no further than River Gum Cruises. We do have great cruise deals to Waikerie with friendly cruises departures that you can take advantage off. To take up these deals, do get in touch with one of our staff members. You can do this over the phone by dialling 0477 333 896 or via email at info@rivergumcruises.com.au.